As autumn's chill hits the air, weight rooms across the world fill with lifters ready to heave weight, force change and transform with the season. As the temperature drops, many welcome fall with a venomous intent toward the iron. Whether your goal is founded on athletics, strength, shredding fat or developing the physique of your dreams, the sounds and smells of the iron game go hand in hand with the season. Colors are changing, and so can you. That said, the 'iron game' has shifted considerably since my youth. While sports supplementation has made a radical jump, training methods have lagged. Unfortunately, the growth of the commercial gym chain has left many classic training approaches unused and covered in chalk dust, with iron enthusiasts having lost the most. Forget scrawny sidearms. The iron game is won with gargantuan guns. By resurrecting older approaches and combining them with modern supplements, I'm offering you an unstoppable formula for success. In this new series of training articles, I'll turn that key - opening the doorway of opportunity with an eye on extreme results. With the right combination of old-school training techniques and advancements in supplementation, it's possible to achieve beyond even the loftiest of goals. To kick-start this series, I'm going to forgo squats and the other big compound lifts, just for a moment. Instead, I'm going to focus on the biceps. Why? Rather than fight the crowd, I'll help the crowd - and you can bet this crowd will be ARMed. Curl like a snake -- with venomous intent. As in the case of other body parts, biceps training has mutated from time-tested work into an array of poor movements and ill-designed programs. Not this time. We're bringing back the Giant. Before we resurrect and reapply this lifting approach, let's focus on your attitude. Part one: to win the iron game, you have to attack your goals. The "doorway of opportunity" I mentioned? Don't tap on it politely. Kick the damn thing down. Part two: the squat racks are not curling stations. 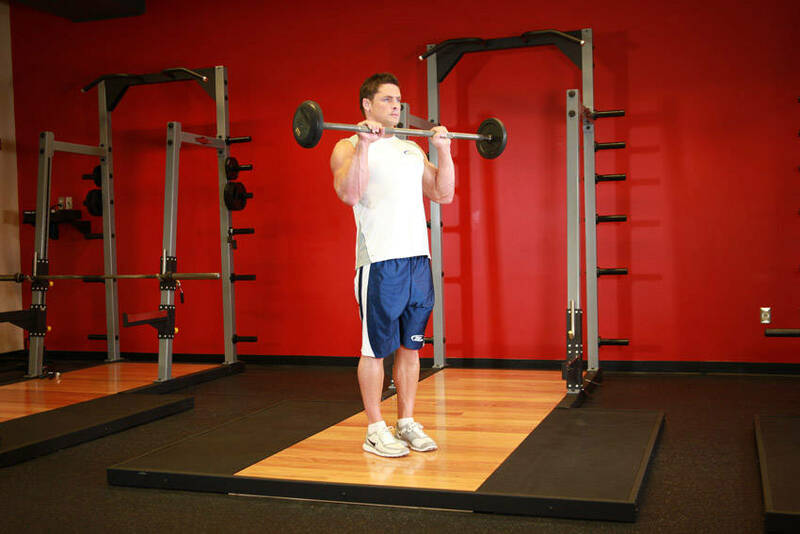 Move from the racks to a section of your gym where you can lift a bar from the floor and perform properly. Don't worry, picking a weight off the floor and putting it down is a good thing. 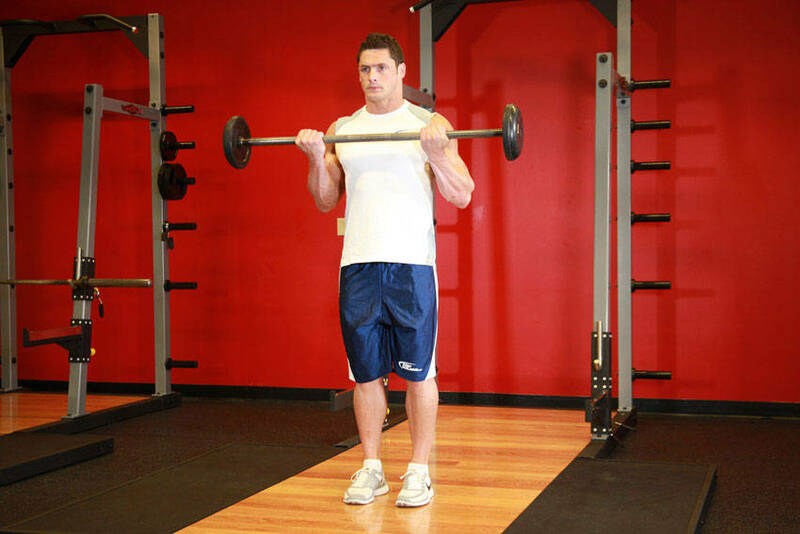 This training session is a straight-ahead attack using basic barbells and dumbbells. No gimmicks, no BS, just results. Contraction. 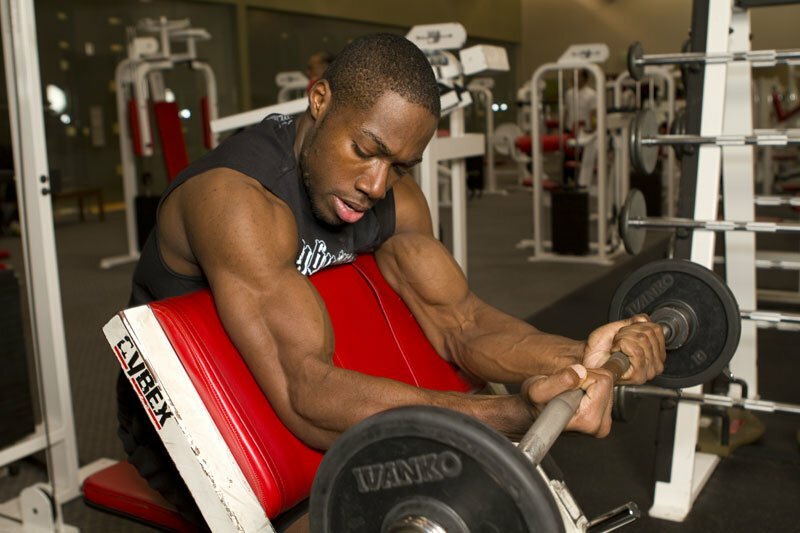 At the apex of each repetition, squeeze your biceps very hard for a 2-3 count. Tempo. Keep the concentric (raising of the load) action under control, with no swinging or "cheating." After applying the contraction technique, lower the weight (the eccentric half) three times slower than you raised it (3:0:1). Proper movement pattern. 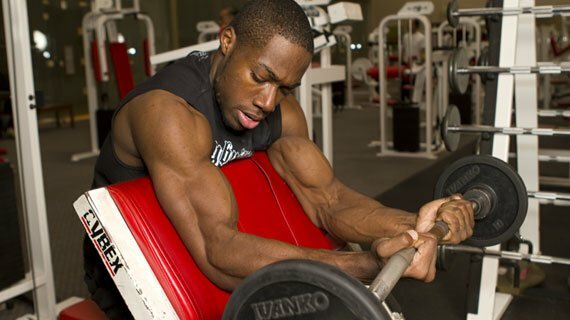 Proper technique is imperative for successful biceps training. 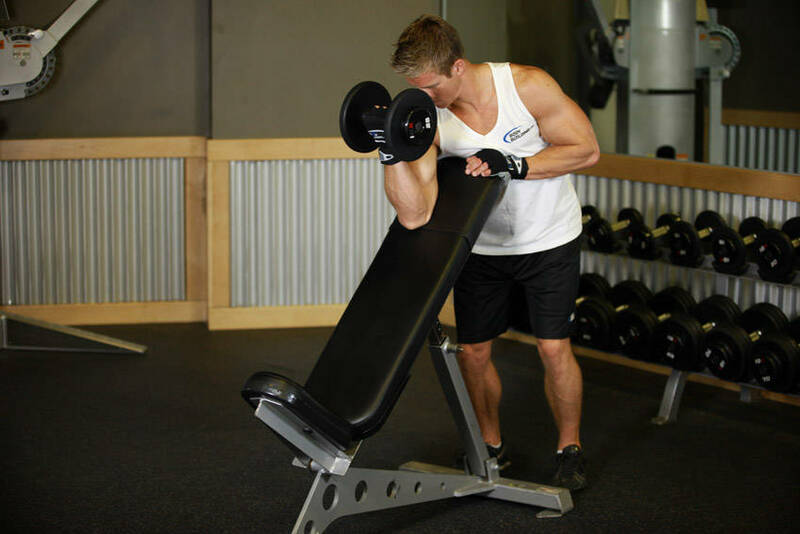 For example, during the standard biceps curl, the meat of your hand should zero in on the shoulder head. 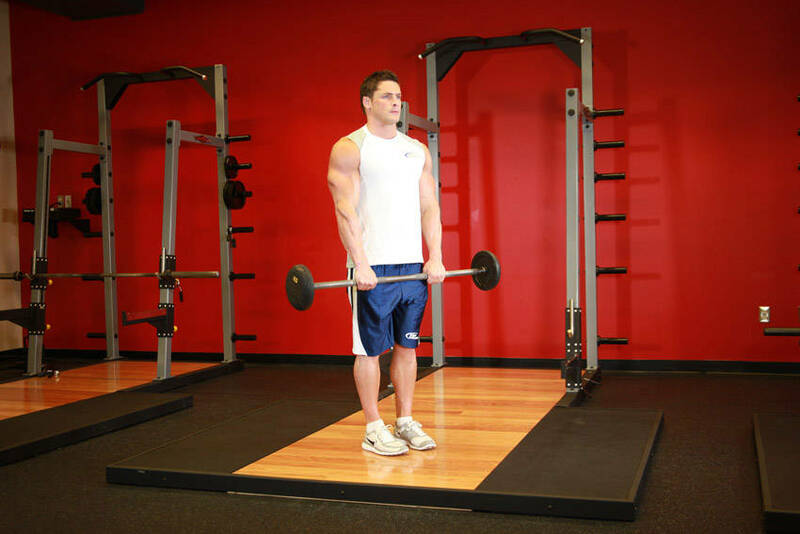 All sets are performed at high intensity for 12-to-16 repetitions (adjust given the exhausting demands). Warm-ups or lower-intensity repetitions don't count as working sets. 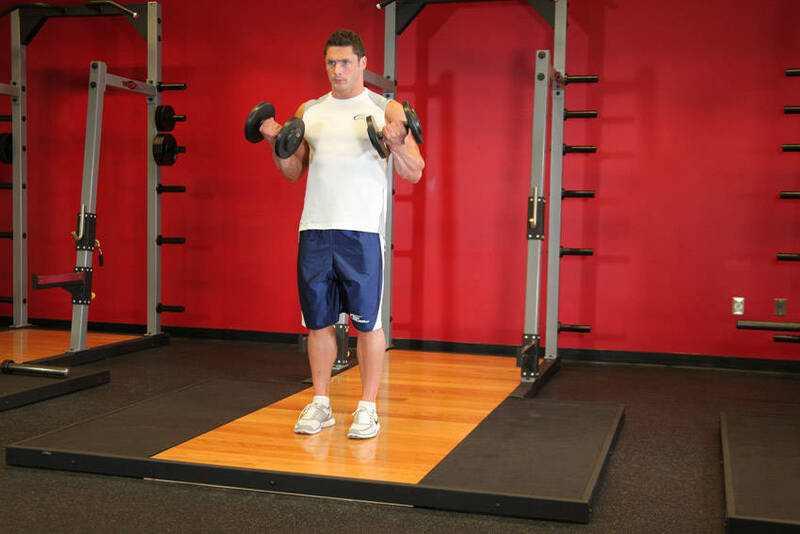 Perform one set and move to the next exercise after 45 seconds of rest. Shake arms between sets to assist managing the massive "pump." Repeat "giant set" for a massive Biceps Bomb. Consider adding Modern intra- and post-workout supplementation, mixed in water. 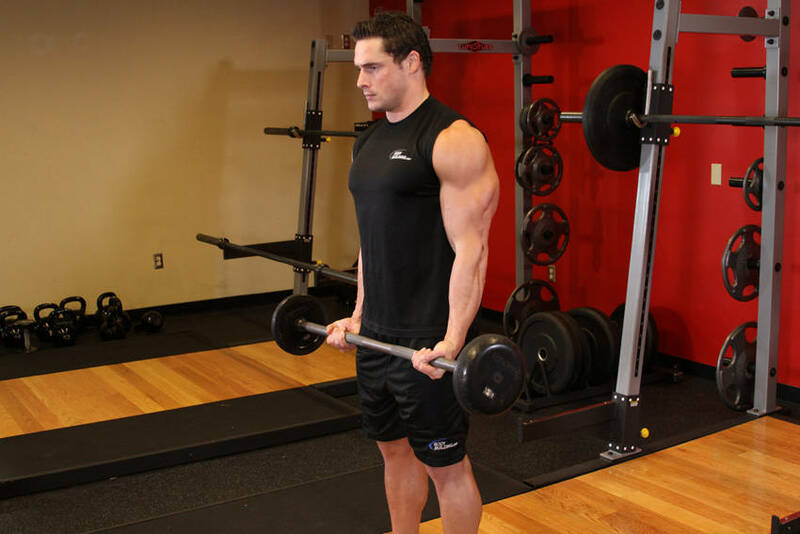 Standing Barbell Curl: With hands shoulder-width apart, keep elbows tucked in and curl weight upward. As fists approach shoulders, rotate elbows up slightly and contract biceps. 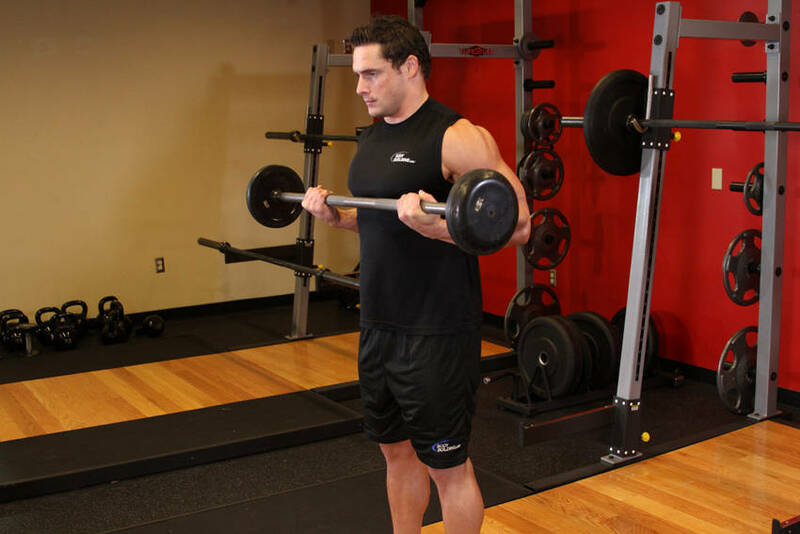 Drag Curl: Using a straight bar, draw the bar upward along the abdomen to the chest by pulling elbows back as you lean moderately forward. 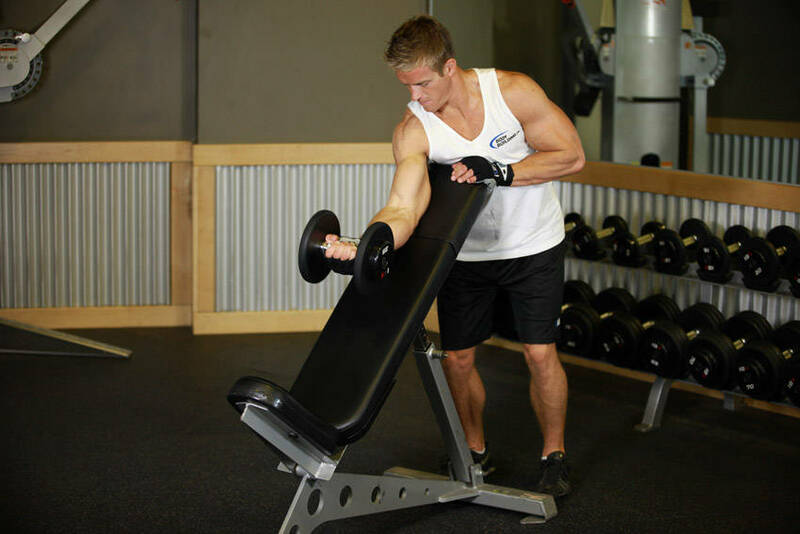 Scott Curl: Using a 45° angled bench, perform one-arm dumbbell curls. When performing the curl, ensure hand comes directly over shoulder. Do not twist upper body or allow hand to drift off-line. 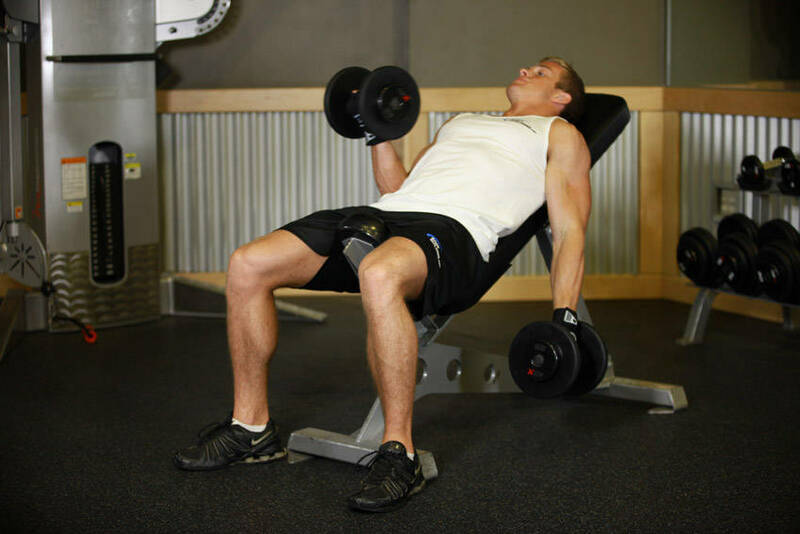 Dumbbell Curl: Either seated or standing, grasp dumbbell with the forefinger on the handle (the "lower" part of the weight) and lift the small finger off the bar. 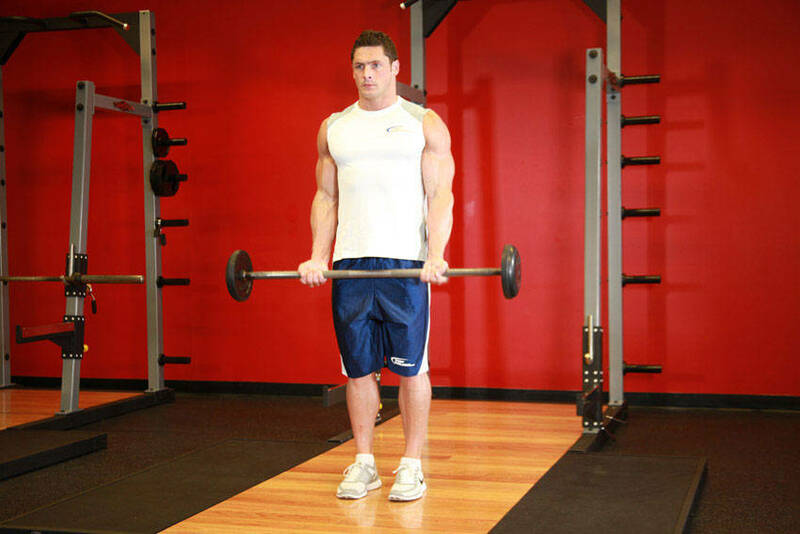 With palms facing thighs, curl right dumbbell up while slowly turning palm up and bending to the right with hand to the right (outside) of deltoid at peak position. 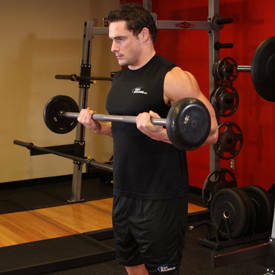 Squeeze biceps for two-three count, turn head to opposite (left) side, and start curling action with other arm while simultaneously lowering dumbbell. 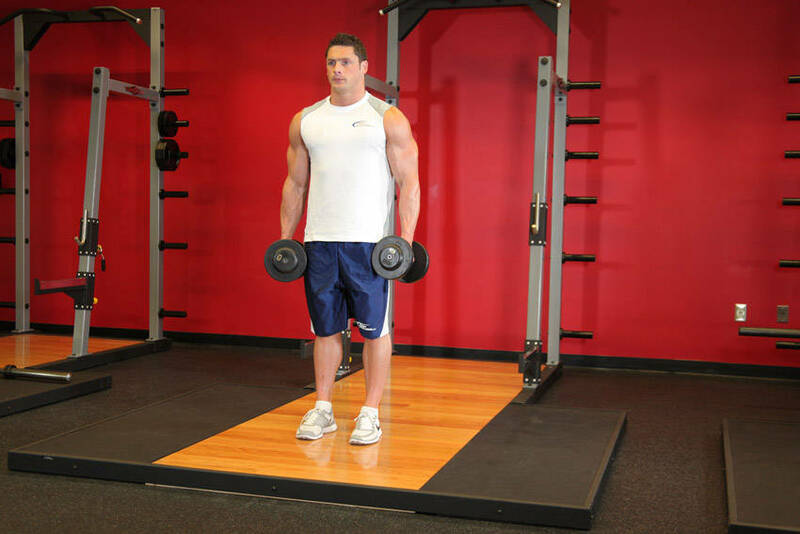 Incline Dumbbell Curl: (variation for second "giant set") With your back on a 45° angle bench, perform the dumbbell curl as above. 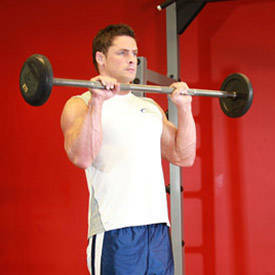 Barbell Reverse Curl: Hold barbell shoulder-width apart, palms down. "Pin" your elbows tight to abdomen and raise the bar without allowing your arms to drift forward. Knock those moves out, one right after the other, for your own set of giant biceps. Repeat, rest and reap the rewards.